Today we are going to go back 108 years to the year 1911. No this blog post is not about the Mona Lisa being stolen from the Louvre. This is a post about the first human to reach the South Pole. What’s the big deal you say? Conquering the South Pole means scaling a 10,000 ft. mountain and then ploughing through 400 miles in blizzard like conditions at minus 60F and winds shrieking at 100 miles an hour. For context the time to frostbite in such conditions is less than 5 minutes. Easy peasy huh! Who would be crazy enough to rise to the challenge? Two teams were as they took it upon themselves to conquer the last undiscovered place on Earth. One from Norway and the other from Great Britain. Their captains? The Brits were led by Robert Falcon Scott, a Royal British Navy Commander. Hailed as a National Hero, he was a veteran explorer with multiple expeditions under his belt. He was also decorated by King Edward VII as commander of the Royal Victorian Order for his achievements. The Nords on the other hand were led by Roald Amundsen. His claim to fame? He was the first person to successfully navigate the Northern Passage through the Arctic, connecting the Atlantic Ocean with the Pacific Ocean. Who won? Before you answer know that Captain Scott commanded three times more men, had twice the budget with five forms of transportation at his disposal. Everything from dogs and motor sledges to Siberian ponies, skis and more! Amundsen only had dogs! The answer is obvious. The Royal Navy commanded far greater resources than the Nords and were setup for success from the word go. Or were they? After 52 days Amundsen’s team were within 55 miles of the pole (not to mention some of the dogs they slaughtered on the way there to keep themselves nourished and yes you probably guessed it by now that’s Roald Amundsen’s pic above). With no sign of Scott’s team, the Nords continued to push forward and made history by reaching the pole in the next two days. Scott’s team got there as well, but only four days later, exhausted and malnourished. Seeing the Norwegian flag they slogged back, racing to beat the start of winter only to be pinned down by a storm and perished in the cold, 11 miles from the next depot of food and shelter. Why did Amundsen’s team win while the other obscured into nothingness despite being the one with superior resources? Scott in trying to ensure he had enough back-up, spread himself too thin. He sent his aide Cecil Meares to secure the ponies. He was a dog expert who knew nothing about ponies. The ill-suited ponies slowed the team down, but not more than the motor sledges. He ended up in a situation where he had to coordinate the speeds of each mode of transportation. Starting with the motor sledges, the ponies were sent seven days later and the dog sledges being the fastest left last. The net result. His convoy was moving as fast as the speed of the slowest method. Roald chose just one mode of transportation and did everything to master it. Having spent two winters with Inuits, he learnt from them how Greenlander dogs were superior to Siberian huskies when it came to polar travel. They are bigger, stronger and their longer legs are better able to handle the snowdrift across the ice barrier. But dogs as a choice of polar transport are also the hardest to control. In extreme conditions they would simply drop down and refuse to move. He learnt from them how to urge the dogs to run, drive sledges and pace himself. Fixated on just one method of transportation with no back-up Amundsen had a small team of four sledges with 52 superior dogs that sped at a speed of 15 miles per day – 4 miles faster than Scott’s team. And that made all the difference. He had done less, but then obsessed. This story challenges two key notions about work. First is to do more – key to success is to increase the scope of activities, pursue multiple responsibilities. The assumption being that by simply taking on more tasks we accomplish more and improve performance. The second misconception is around focus. Just choosing a few priorities is enough to succeed. The idea is not to do little. Choice is only half the story. The other half is the harsh requirement to obsess over your chosen area of focus to excel. If you don’t obsess, you simply do less and that’s a mistake. When Amundsen was recruiting sledge experts for his team he had come to know of Sverre Hassel. He was a star driver who refused to join his team. But Amundsen didn’t settle for the second best. He kept on urging him. 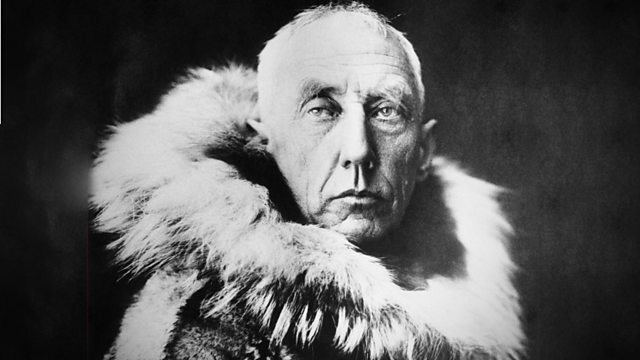 According to historian Roland Huntford Amundsen exerted all his charm and force of character to coax Hassel to join. Worn down by his persistence Hassel agreed to join. He chose a path for himself and then obsessed over it to perfection, not settling for anything less than the best.